When you visit our Nashua area new car dealership to shop for your next vehicle, your goal is to find the vehicle that’s going to give you everything that you need behind the wheel. Fortunately, helping you find that vehicle is our goal, too! One of the most important steps you’ll take in the car shopping process is getting into the driver’s seat for a test drive. This is when you really get to know the vehicle–or vehicles–that you’re looking at, and it can offer the perfect opportunity to decide what works for you. So how can you get the most out of your test drive? You don’t need to know all of the specifics, but having a list of the factors that matter most to you can help ensure that you don’t forget anything while you’re checking out new vehicles. Whether it’s fuel economy, cargo space, rear legroom, technology, or specific features, a checklist helps to make sure that you’re hitting all of the boxes. Sometimes, it can also help our team to point you toward an even better fit! Whether you’re commuting to work or chauffeuring the family, you likely spend a lot of time in your vehicle. As such, you need to be honest when it comes to how you feel behind the wheel; compromising on comfort will likely lead to regrets down the road. If you get behind the wheel of the car you’ve had your eye on and find that it doesn’t feel quite right, don’t talk yourself into it. Instead, let our team know. There might be adjustments and settings that make for a better fit that you haven’t even seen yet, an option package that does the trick, or even another vehicle in our new car showroom near Nashua that’s right up your alley. When you visit us for a test drive, we’ll more than likely have multiple options for you to check out that meet your needs. Knowing which features are most important to you can help you filter out less-than-great fits and to hone in on what’s exactly right for you. Whether you’re more spirited or more reserved, let us know and drive the way you normally would. If a more responsive powertrain or different handling make for a better fit, we can help you find what you’re after. The most important thing during a test drive is coming with an open mind and being honest as you try things out.  To schedule a test drive with our knowledgeable staff, don’t hesitate to contact Contemporary Automotive by calling (844) 500-6722 today.